Well, Daniel Ellsberg thinks it's the straight dope. So that's good enough for me: it stinks. fore now - to win hands down on it. Alteration of cultural zeitgeist now under way. Even more abnormal dis-service will soon resume. including the infamous Total Information Awareness data-mining scheme. transactions moving through a European cooperative called SWIFT…. objectivity significantly into question,” the two organizations said…. accomplish what a few keystrokes used to,” the paper reported. considered an even worse failure. whatever the truth is, we ARE in the big league. Related: What Is the National Security Agency? "Here is a decent round-up of key questions still not answered about the black hole. But when it comes to how a 29-year old IT wizard with little formal education has been able to access a batch of ultra-sensitive secrets of the US intelligence-national security complex, that's a no-brainer; it's all about the gung-ho privatization of spying -- referred to by a mountain of euphemisms of the "contractor reliance" kind. In fact the bulk of the hardware and software used by the dizzying network of 16 US intelligence agencies is privatized. A Washington Post investigation found out that US homeland security, counter-terror and spy agencies do business with over 1,900 companies. An obvious consequence of this contractor tsunami -- hordes of "knowledge" high-tech proletarians in taupe cubicles -- is their indiscriminate access to ultra-sensitive security. A systems administrator like Snowden can have access to practically everything. "Revolving door" does not even begin to explain the system. 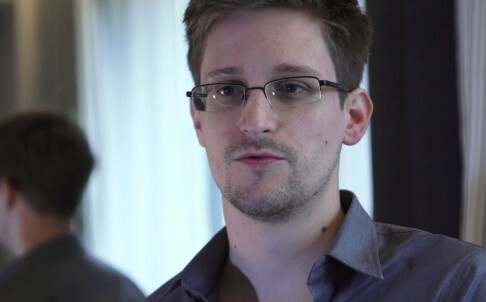 Snowden was one of 25,000 employees of Booz Allen Hamilton ("We are visionaries") for the past three months. Over 70% of these employees, according to the company, have a government security clearance; 49% are top secret (as in Snowden's case), or higher. The former director of national intelligence Mike McConnell is now a Booz Allen vice president. The new director of national intelligence, the sinister-looking retired general James Clapper, is a former Booz Allen executive. " Recent headlines about PRISM — the US government program that allows security officials to spy on people’s Internet activity — confirm what conspiracy theorists have long been foretelling: Big Brother is watching. But is the government the only one keeping tabs on what you search for, watch and discuss with friends? The truth is, there are others out there — businesses, advertisers, scammers — hoping to line their pockets by collecting your personal data. And they have a variety of tools at their disposal to gather the information they need — tools you might even have with you right now. That's right — everything from the smartphone in your pocket to the television in your bedroom can potentially be used to spy on you. 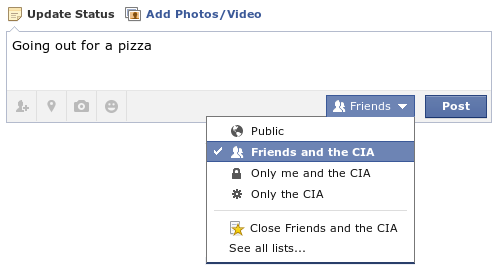 A variation of the old "our good friends in the CIA" angle. Inter-agency rivalry is a smokescreen. Nothing gets in the way of business. US has Hacked into China and Hong Kong! Whoud'a thunk. Why flee to Hong Kong? Answer that and we're a lot closer to figuring out Operation SnowJob. I'm kicking it around - without drawing any kneejerk conclusions yet. response may help answer the "Why Hong Kong" question. them on to their own archive servers. So that's hardly news. But in a mainstream way, it IS news. and the nature of this access still remains murky. backbone routers --then the NSA may as well be in the office. That's as "direct access" as anyone needs. they previously got the manufacturers to quietly include? they don't know this NSA router issue exists?! If I know. They know. More like: "See no Evil, Hear No Evil"
Or, fallback position: Snowden was under surveillance and allowed to access planted files. Was Edward Snowden under surveillance at intelligence contractor Booz Allen in advance of releasing the PRISM document? ... By his own account, Snowden often discussed perceived Agency wrongdoing with his co-workers, which suggests that he should have been profiled and flagged as a potential leaker by the NSA’s internal surveillance process. ... The logos of major U.S. IT and communication service providers are splashed across the top of PRISM power point slides like sponsor patches on a NASCAR driver’s jacket. Vendor logos often do appear next to product illustrations in DoD briefing documents, and are sometimes used to indicate a vendor’s position in process or procurement flow charts. But the “ad banner” format present in the leaked PRISM slides is very unusual and apparently unique to the PRISM document. ... The UK Guardian released the PRISM story on the opening day of PFC Bradley Manning’s court martial. The leaked PRISM document will certainly influence public debate on both whistleblower protections and State surveillance – and influence is one of our intelligence community’s regular daily chores. Some commentators have been very quick to present forceful talking points in favor of free and unrestrained State surveillance, and there is growing consensus that reports depicting PRISM as a mass domestic surveillance dragnet were a false alarm. The Washington Post, which broke the story at the same time as the UK Guardian, has walked back its position on the civil rights implications of the PRISM materials. Meanwhile, it seems that everyone has forgotten about Romas/COIN. When in actuality, they can just boot-up. logon and their in. Backdoors: Who Owns Your Network?